For a long time, HR managers have been complaining about the deficient assessment criteria and benchmarks for the performance of HR management. HR professionals demand the methodology to evaluate and reflect the effectiveness of HR management in business operations. 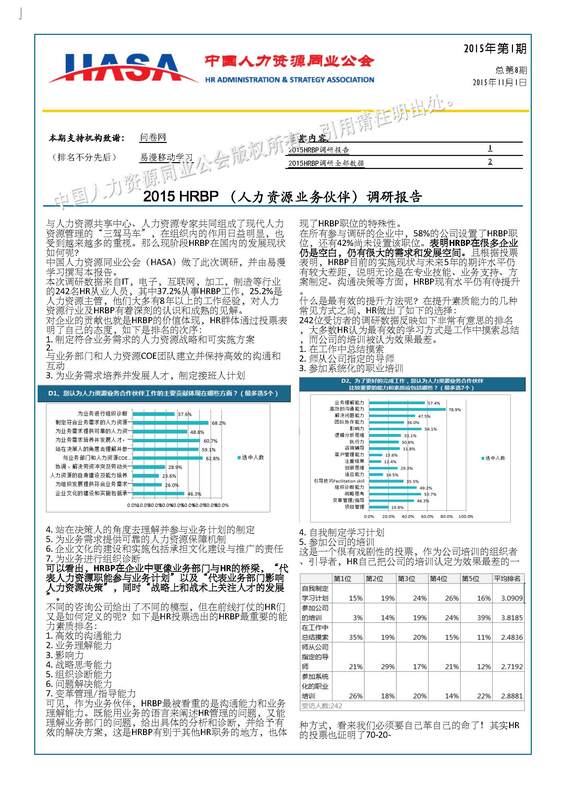 Through collaboration with HR experts and intensive researches into relevant topics, HASA creates assessment standards particularly for Chinese markets to provide HR professionals references to evaluate organizational HR development. The Learning Program is a member benefit that provides entitled HASA members selected training courses from HASA Accredited Vendors which have been accredited by HASA. For CA member, we provide 35.5 learning points per annum to attend HASA learning program without extra charge.